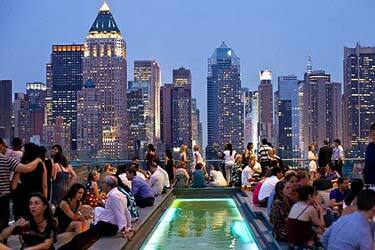 230 Fifth rooftop bar is one of the largest and most famous rooftop bars in NYC, named after its location at 230 5th Ave. 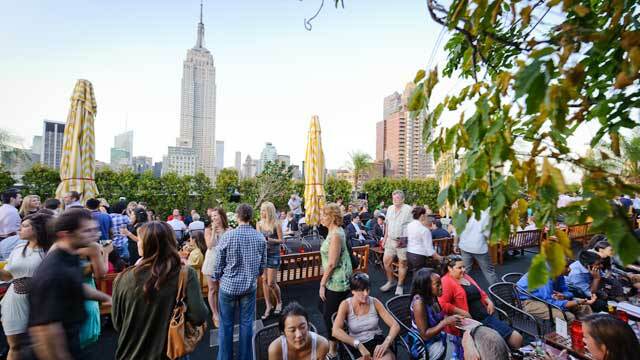 The terrace has seatings for approximately 1 000 people at the same time and offers some really magical views of the Manhattan skyline, with the Empire State Building as a mighty focal point. 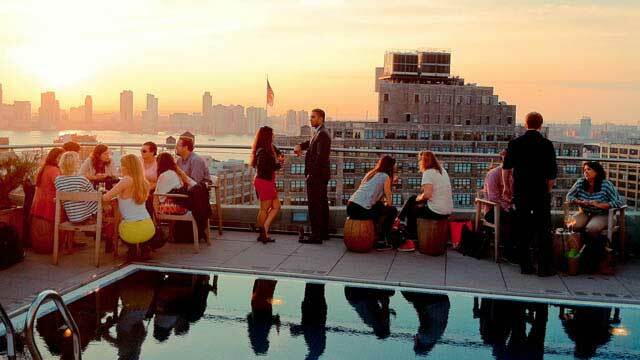 The rooftop 230 NYC delivers a wide selection of both food and drinks. 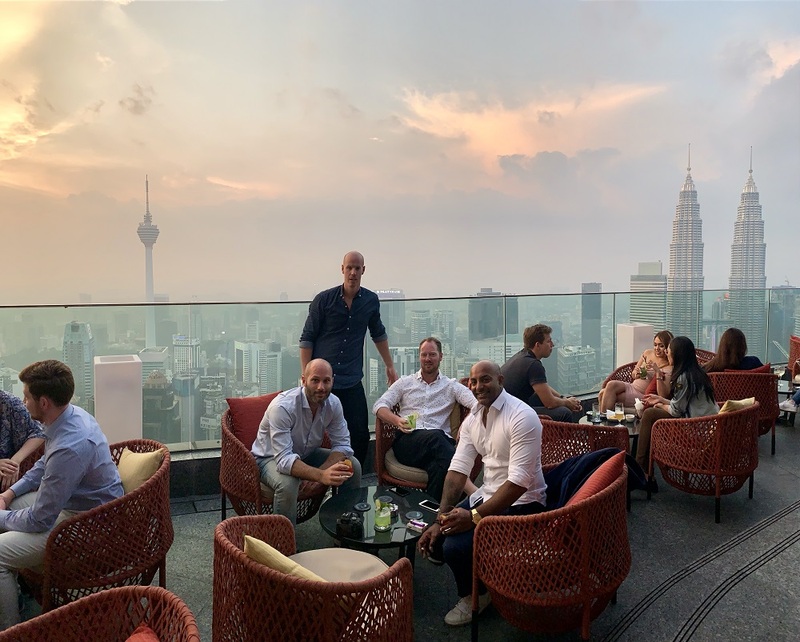 There are well made classic cocktails along with beer and wine, both on tap/glass and in bottle, and a food menu ranging from bar bites to more full dinner meals like burgers, salmon, fish & chips and a big selection of sushi. 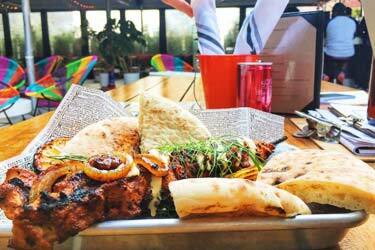 And best of all, the 230 Fifth brunch buffet, a 'must try' that is served every weekend between 10-4pm. 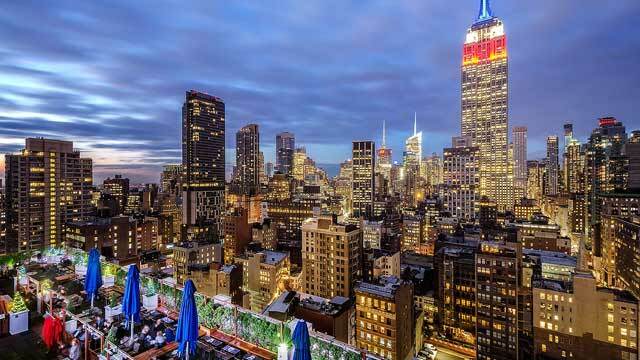 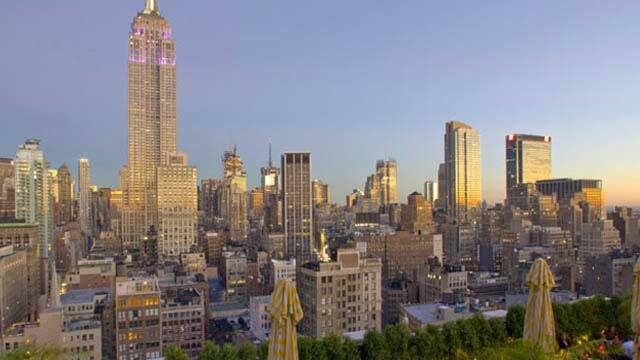 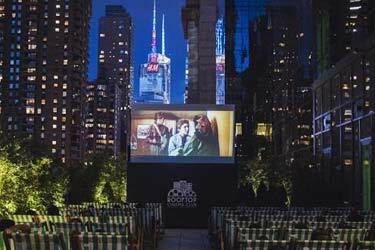 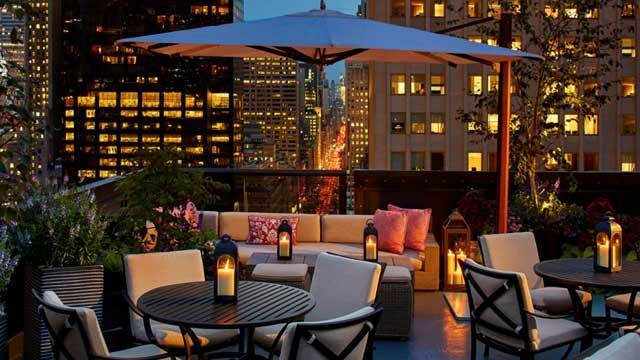 The roof terrace at 230 Fifth rooftop bar New York is open all year, with heaters helping on the colder nights. 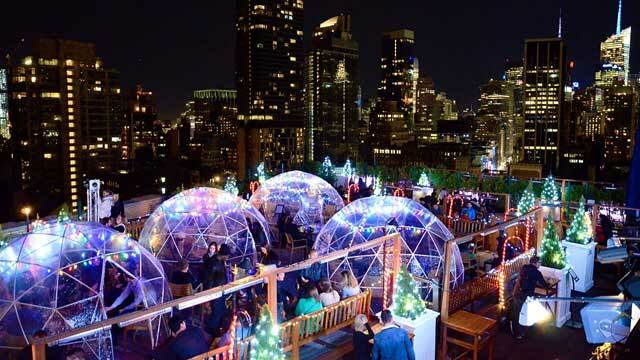 In winter (between Nov-May) you can also keep extra warm in the famous 230 Fifth Igloos. 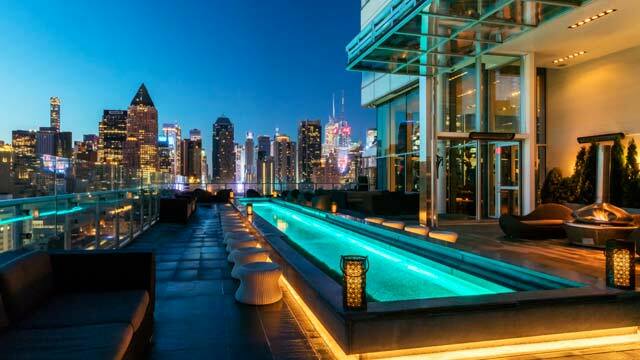 Heated and transperent, offering the same views as outside, you can enjoy hot drinks, like the Bailey's Boozy Hot Chocolate, and really have a fantastic winter rooftop experience. 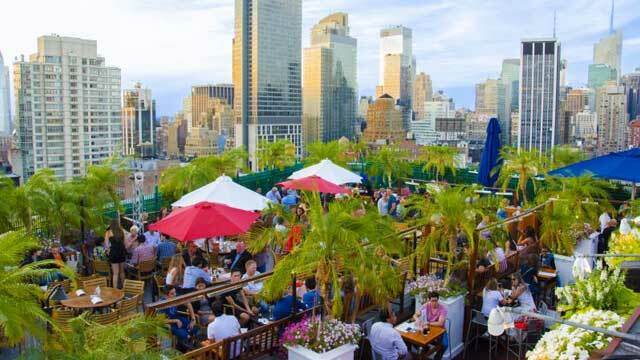 Although it is a large terrace, it's recommended to be in good time to be guaranteed a seat at 230 5th rooftop, since it is one of the most popular rooftop bars in New York, both among tourists and locals. 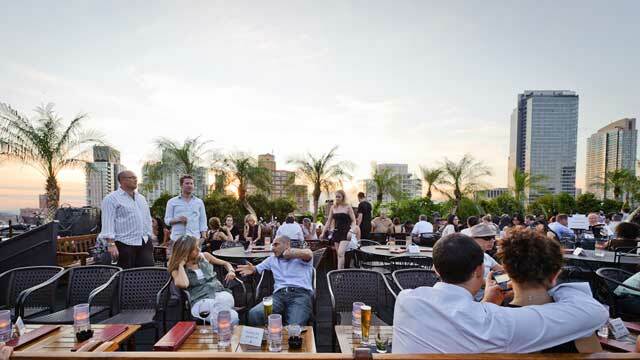 Come for sunny drinks with a view during daytime or enjoy the vibrant party atmosphere night time. 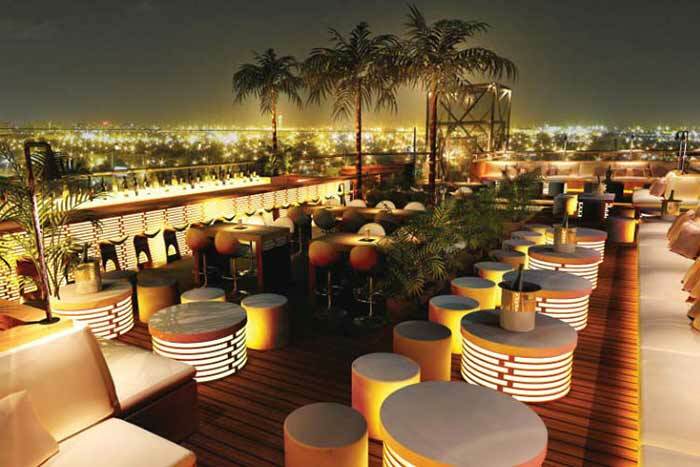 The 230 Fifth dress code is casual during the day and smart casual in the evenings. 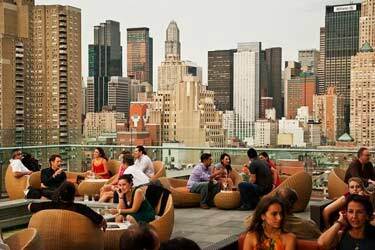 Read more about when The Rooftop Guide had a really nice Sunday brunch at 230 Fifth rooftop bar in April 2016. 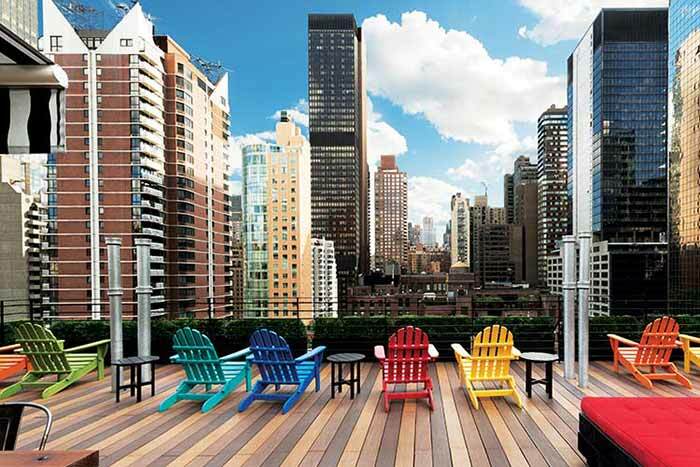 If you want a nice weekend brunch, you should definitely visit 230-Fifth.